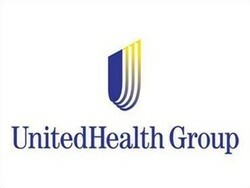 UnitedHealth Group is a provider of health and well-being products. It delivers a wide range of products and services to millions of Americans, through four primary business divisions: Uniprise, which provides employer business services and health plans; Health Care Services, which includes the UnitedHealthcare, Ovations and AmeriChoice businesses; Specialised Care Services, a provider of unique and specialised health and wellness benefits, services and resources; and Ingenix, a knowledge and information services provider. UnitedHealth upped their dividend massively from 3c in 2009 to almost 54c a year later. Since then they've been increasing their dividend impressively year-on-year. The dividend cover is high and analysts are picking further dividend payout increases.